NOT for RV's it has big 10-inch wheels. 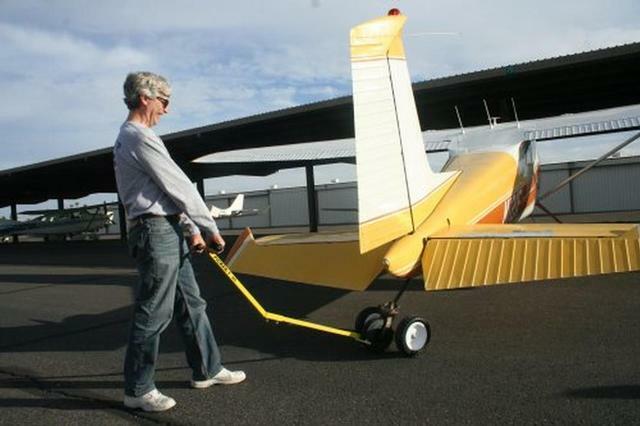 This Baby Bush Picker-1A aircraft tug is great for generally all tail dragger aircraft up to 1,800 pounds. The wheels are larger for big door lips & tracks but need over 10 inches of ground clearance FWD of the airplane tail wheel due to the larger diameter wheels.